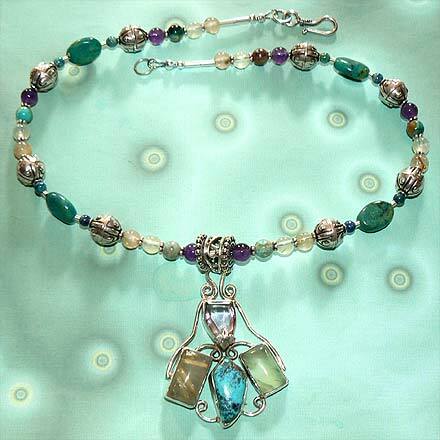 Sterling Silver Chrysocolla, Rutilated Quartz, Prehnite and Amethyst Necklace. See Closeup. 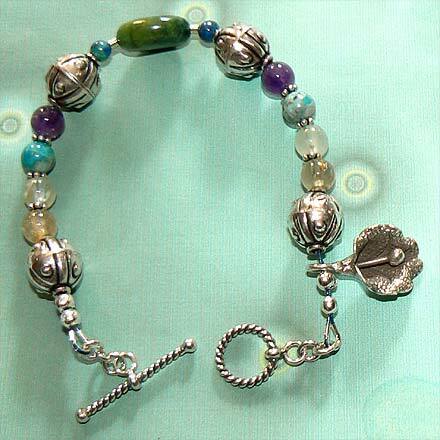 Sterling Silver Chrysocolla, Rutilated Quartz, Prehnite and Amethyst Bracelet. 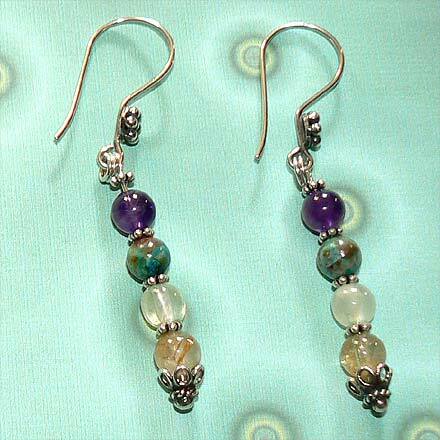 Sterling Silver Chrysocolla, Rutilated Quartz, Prehnite and Amethyst Earrings. Unique colors of spring, light greens, golds, blues and purples. 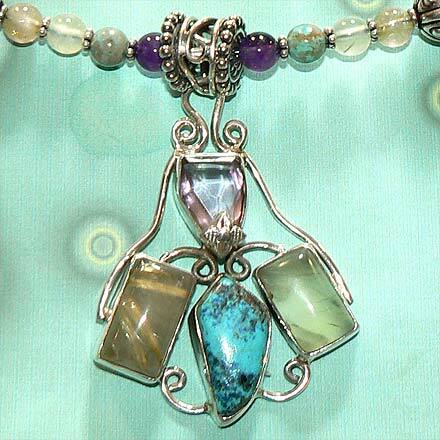 For those who are interested in Astrological significances of stones, Chrysocolla corresponds with Gemini, Virgo and Taurus; Quartz corresponds with Taurus and Gemini, and Amethyst corresponds with Pisces and the month of February.